Ralston Cereal Honey Bunches Of Oats Almonds - 14.5 Oz. Ralston Cereal Honey Bunches Of Oats Roasted - 14.5 Oz. 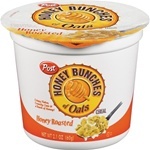 Ralston Post Cereal Honey Bunches Of Oats Honey Roasted Cups 2.1 Oz. 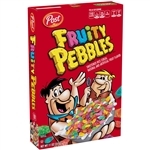 Ralston Post Cereal Fruity Pebbles - 11 Oz. 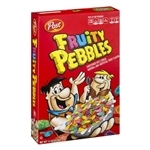 Ralston Post Cereal Fruity Pebbles - 15 Oz. 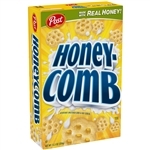 Ralston Post Cereal HoneyComb - 12.5 Oz. 100 Percentage Hot Cereals Wheat - 40 Lb. Ralston Quick Oats Hot Cereal - 42 Oz. Ralston Old Fashioned Quick Oats Hot Cereal - 42 Oz. Ralston All Instant Cereal - 11.8 Oz. Instant Oatmeal Flavor Variety - 13.5 Oz. Creamy Wheat Farina - 28 Oz. 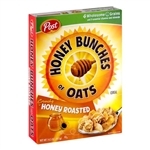 100 Percentage Wheat Hot Cereal - 20 Oz. Cereal Berry Treets - 28 oz. Cereal Bran Flakes - 28 oz. Corn Flakes Cereal - 28 oz. Crispy Rice Cereal - 28 oz. Frosted Flakes Cereal - 28 oz. Fruit Rings Cereal - 28 oz. 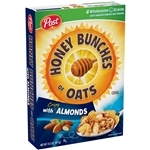 Honey and Nut Tasteeos Cereal - 28 oz. Magic Stars Cereal - 28 oz. Raisin Bran Cereal - 28 oz. Tasteeos Cereal - 28 oz.